We are proud of the high quality of our products and processes. We currently work in accordance with ISO 9001:2015, which sets out complete quality system requirements. 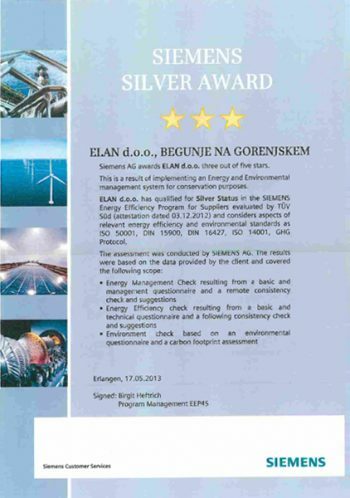 We believe that this helps us to be more efficient and improves our customer satisfaction. 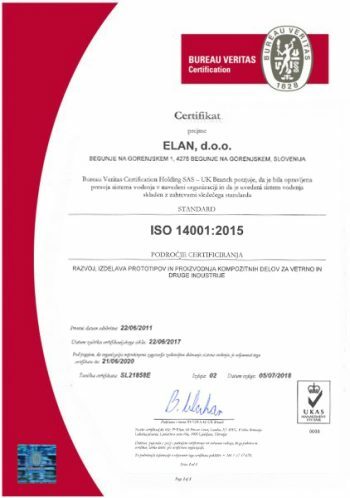 Elan is also certified according to ISO 14001:2015. ISO 14001 standards provide guidance on how to consider multiple aspects of our business in order to reduce environmental impact. This drives us to evaluate how we manage emergency response, customer expectations, stakeholders and our relationship with the local community, ensuring that we continually improve our sustainability footprint. As employee health and safety is of paramount concern, we are also currently undertaking ISO 45001:2018 certification.